Have you ever wondered what the interior of a manufactured home looks like? How much space is inside a manufactured home, or how is a manufactured home is designed? We made these high-resolution virtual tours of our modular & manufactured home interiors so that you can have a full walkthrough of some of our favorite floor plans, without leaving your house.Do you love what you see in our modular & manufactured home virtual tours? You can stop by one of our six retail sales center locations to tour available models in person, or find out more about our custom prefabricated home options. The Redman Catena is a high-end manufactured home with a modern aesthetic. The kitchen island dips down to offer an eat-in kitchen area, the living room has a dual electric fireplace/entertainment center, and the laundry room has a built-in desk that can double as an at-home office or crafting area. This home is truly stunning in person! Come check see it for yourself at the UMH Sales Center in Belle Vernon, PA or Somerset, PA.
Move into the Pharlap and live in the lap of luxury. The beauty of this home is in the details, from the arched entryway and the wood paneling on the fireplace/entertainment center, to the sunny dining area flanked by windows. Make sure you watch this one to the end to see the master bedroom/bathroom! This home is available to tour and to purchase at the UMH Sales Center in Belle Vernon, PA or Somerset, PA. The Cypress manufactured home is a charming 3 bed, 2 bath with a highly functional floor plan. We love this home for its large dining area, tons of usable kitchen counter space, and oversized pantry & mud room to satisfy all of your storage needs. 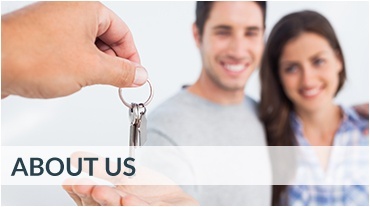 As with all of our modular and manufactured home models, you can customize the look and feel by choosing your own flooring, countertops and more. You can tour & order this home at the Redbud Estates Sales Center in Anderson, IN. The Elm has an open-concept kitchen/living/dining area that is perfect for entertaining. The bedrooms are spacious, and the walk-in closet in the master bedroom is almost big enough to be a bedroom all of its own! Discover all of the ways you can customize this manufactured home at the Redbud Estates Sales Center in Anderson, IN. You won’t want to miss the master bath in this 3 bed, 2 bath home. The garden tub, tiled shower and double-vanity sink create a spa-like oasis. The split floor plan is designed for privacy, and the extra features like the butcher block kitchen island and the laundry room with built-in counters, cabinets and sink add to The Oak’s appeal. You can order & tour this home at the Redbud Estates Sales Center in Anderson, IN. Explore the layout of this 3 bed, 2 bath home, and be sure to keep an eye out for the unique features that make it special: like the frosted-glass cabinets in the kitchen, the sliding glass door to lead to a back porch, to name a few. Discover all of the ways you can customize this manufactured home, tour it in person or place an order at the Redbud Estates Sales Center in Anderson, IN. The Willow is a 3 bed, 2 bath home with an open-concept living area. The kitchen in this home really shines, with a massive kitchen island, loads of counter space, all-new kitchen appliances and a functional layout that’s perfect for cooking. The master bath and laundry room are both designed with high-end amenities. See it for yourself or customize the look at Redbud Estates Sales Center in Anderson, IN. The 3 bed, 2 bath Hickory has a unique and stately charm. We love the wood features in this home, the over-sized kitchen, and the bonus room! Order yours with a built-in desk to make it an office space, or convert it into a playroom or a den. 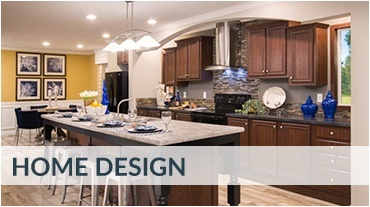 See it for yourself or customize the look at Redbud Estates Sales Center in Anderson, IN. The Dancer 3 bed, 2 bath home is available to tour in person at the Sunny Acres Sales Center in Somerset, PA. There are tons of custom-design options available for this manufactured home, including kitchen and bathroom backsplashes and tile, flooring, cabinets and more. Schedule your appointment to come tour it today, or fill out our Dream Home Checklist to start crafting your custom home design vision. We love the way the Rosebud floor plan is laid out. Design your home with entertaining in mind, with a sitting room at the entry way that flows into the kitchen/dining, and then connects to a den with a built-in entertainment center. The kitchen island with bar-height countertops really tie the open-concept layout together. This home is available to purchase and to tour at the Sunny Acres Sales Center in Somerset, PA. The Northwood is a charming 3 bed, 2 bath home with tons of charm. Enjoy a sunny window seat in the kitchen area, and a huge master suite with a spacious shower and walk-in closet. 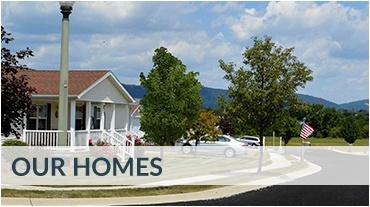 This home is available to purchase and to tour at the UMH Sales Center in Belle Vernon, PA. The Albatross is a 3 bed, 2 bath home that has gorgeous modern-lodge details. The stone fireplace is the centerpiece of the open living area, and the split-layout offers privacy and quiet. You can order this home at the UMH Sales Center in Belle Vernon, PA. Pay us a visit to learn more about UMH’s custom home design options!